Based on its vibrant campus in the heart of Middlesbrough in North East England, Teesside University is a friendly, modern university offering a broad portfolio of undergraduate and postgraduate courses. The University has recently invested more than £270m in its town-centre campus giving it a leading edge in digital innovation, top-notch forensic facilities and sport and health sciences buildings. Teesside is investing an additional £300m over the next ten years to further enhance the experience of its students, staff and partners. Teesside University is committed to enabling you to create the future you aspire to by offering a range of support and services. The Careers Service connects you with employers and offers interview and application support, and workshops to help you succeed. We also offer a range of volunteering opportunities and enterprise programmes as well as one-to-one mentoring to help you develop and explore an idea and turn it into a fully fledged business. Teesside University Students’ Union provides advice, support and jobs as well as opportunities to pursue sports and hobbies. Following a £1.1m development the Students’ Union was awarded Gold in the 2016 Best Bar None awards. The space now has an upgraded bar, events areas, a terrace bar, a range of eateries, student support and advice service, a shop, plus clubs and societies. Teesside aims to place postgraduate and mature students together in campus accommodation. There are 1,100 rooms on campus and 300 off campus, all managed by the University. The newest accommodation recently opened opposite the University, with 75 apartments grouped into clusters of four to eight study bedrooms with en-suite. All kitchen and dining areas are shared. Prices starting from £58 a week, including rent, bills and Wi-Fi. The University’s primary campus has received major investment in recent years, and there are a number of new buildings. The Curve is a new five-storey teaching building that sits right next to the newly refurbished library and the award-winning Students’ Union. £7.5m has been invested to provide a modern and flexible new home for the growing Teesside University Business School. Equipped with the latest technologically-enabled facilities, this contemporary new teaching and learning space was opened in 2018. It includes syndicate rooms and collaborative work zones to enable collaboration between staff, students and businesses. The University’s health and social care facility, Centuria, is equipped with dedicated labs and simulated practice environments, while Centuria South is a £17m health science building with cutting-edge equipment for students studying dental nursing and technology, and sports. Nestled between the North Yorkshire Moors and the north east coast, Middlesbrough is just three hours by train from London and Edinburgh. York, Durham and Newcastle are one hour by train. With a city centre campus, the town’s shops, bars and restaurants are on your doorstep as well as an international art gallery and cinema. The Students’ Union activities team manages a range of clubs and societies. Whether you want to join a team sport such as football, rugby or basketball, or a special interest society such as battle re-enactment, music or real ale – there’s something for everyone. The activities team can also help you set up one of your own. Teesside University offers a range of student support services, including advice on careers, grants, loans and benefits, as well as health and wellbeing, academic guidance and disability support. There’s amazing entrepreneurial support too in the form of Teesside Launchpad – really useful you’d like to set up your own business. The Students’ Union also has a professional support team providing independent guidance on academic and student support issues. In addition, there's a mediation service to help students who are in conflict with housemates and the Union advertise a range of part-time jobs. £5,050 for a full-time taught postgraduate degree (MA/MSc) or £561 per 20 credits for part-time. £3,365 for a full-time postgraduate diploma (PgDip) or £561 per 20 credits for part-time. £1,685 for a full-time postgraduate certificate (PgCert) or £561 per 20 credits for part-time. £6,000 for a full-time research degree (higher tier) or £3,000 for part-time per year. £4,400 for a full-time research degree (standard tier) or £2,200 for part-time per year. The research degree writing up fee for 2018-19 ((1 August 2018 - 31 July 2019) is £650. Fees relate to the Academic year 2018/19 entry (1 August 2018 - 31 July 2019). Complete information on fees can be found on the University’s website. Higher tier fees are charged for MPhil and PhD study based in the School of Science, Engineering & Design to reflect the higher costs of these disciplines. The fee applicable will be clearly stated in your offer letter. After a period of three years (five years for part-time students), and once the data gathering and analysis phase of the project is completed, students are entitled to a period of one year (two years for part-time students) at which a reduced writing-up fee is payable. If work is not submitted for examination within the designated writing-up period, the fee will normally revert to the standard fee for the following year. Professor James Caldwell, a former Teesside University professor of Mathematics, generously gives £2,000 a year towards support for a self-funding PhD or MPhil student in Computing. Four students can receive £2,500 scholarships if they enrol on a course based at the School of Sciences, Humanities & Law. 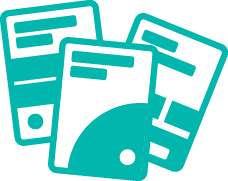 Receive £50 of credit on your smart card when you enrol on a postgraduate degree, which can be used towards printing and photocopying costs. Complete information on funding can be found on the University’s website. Teesside has cutting-edge and industry standard facilities, and academic staff at the forefront of their profession. With a clear focus on real-world impact the University’s academic areas of expertise are wide-ranging, from health, forensic science, engineering, the arts, computing, business and social sciences. equivalent qualifications (including international qualifications). Teesside offers a range of research degrees which can lead to a master of philosophy (MPhil) or doctor of philosophy (PhD). The majority of research at Teesside is world-leading or internationally excellent (Research Excellence Framework 2014) and there are many leading researchers in areas as varied as digital environments, nanotechnology, health, criminology and sociology. With five research institutes Teesside University has a clear focus on research development and building on its research excellence which impacts on key global challenges. Doctor of counselling psychology (DCounPsy). Located in Middlesbrough, England, Teesside University is home to around 18,500 students. The University is made up of five academic Schools: the School of Computing, Media & the Arts, School of Health & Social Care, School of Science, Engineering & Design, School of Social Sciences, Humanities & Law and Teesside University Business School. Teesside offers a wide range of postgraduate programmes in almost all areas of study.